Social sciences and humanities (SSH) must be a more prominent recipient of the European Union’s Horizon Europe energy research and innovation funding opportunities – some €100bn for the 2021-2027 period. This was the call to action at Brussels’ first ever conference dedicated to SSH research in the field of energy. 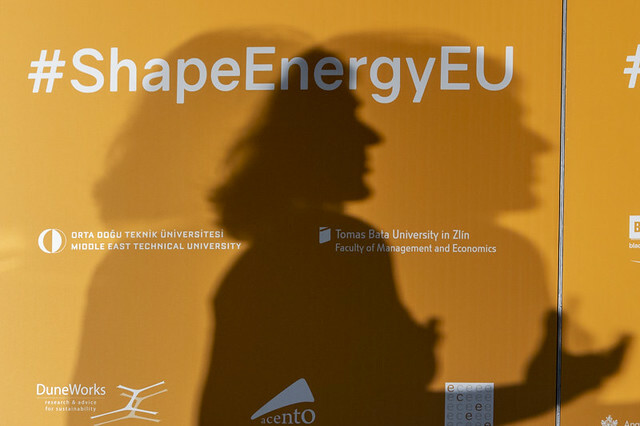 The 22 January event was organised as part of the SHAPE ENERGY H2020 EU-funded project, a €2m European platform for energy-related SSH research. Hosted by Friends of Europe, a SHAPE ENERGY partner, it highlighted that this research has the potential to help address pressing societal challenges but is currently significantly overlooked and underfunded. In 2016, only 4% of Horizon 2020’s energy research budget went to SSH research, while 96% went to science, technology, engineering and mathematics (STEM) studies. “Energy research is neglected and dominated by a technology focus,” explained Rosie Robison, principal research fellow at the Global Sustainability Institute from Cambridge’s Anglia Ruskin University, a leading SHAPE-ENERGY consortium member. The conference highlighted how SSH research would make a “just transition” to a more sustainable future easier by providing a better understanding of how cities and citizens operate. It also emphasised the importance of bridging the gap between social and scientific policies to achieve an inclusive transition that leaves no one behind. Getting enough money for this is important, noted Aziza Akhmouch, Head of the Cities, Urban Policies and Sustainable Development Division, at the OECD Centre for Entrepreneurship, SMEs, Regions and Cities. However, she added, “We also need to look at the social costs and policy trade-offs required.” The recent ‘Gilets Jaunes’ protests in France not only show the impact of the fuel tax, but also a demand for more research to understand what motivated so many people to join the protests. The aim should be to radically transform the way we live, Belgian Socialist MEP Kathleen Van Brempt summed up, while understanding the difficulties of doing so at the same time.